Argonauts Agency: Golden Fleece is rated 3.4 out of 5 by 11. Rated 5 out of 5 by Bonnie241 from Love this TM game I loved this game. The characters moved at a fast pace and even faster with the bonus. Yes it may be more simple then some TM games, but I like to play for the relaxation of a simple game that moves fast once in a while. I thought that the graphics were good . I bought it even before I finished the demo. Rated 4 out of 5 by Bumbles2 from Great little game for newcomers to Big Fish !!! Me and the G'kids had a good time playing this game...its rather repetitive...but that's a good thing for kids getting into gaming with Big Fish !!! 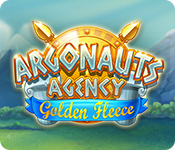 The story is quite simple...3 Argonauts are sent out on a mission for find a missing Golden Fleece !!! The music is a bit tedious at times...just turn it down and carry on with this adventure !!! The artistry is well done and pleasing...not just a big mashing mess of items...in other words you can find the items you need very very easy !!! There is not a single challenge in this game...so sit back...relax and play. You should enjoy this with the G'kids...its a ton of fun for all !!! Rated 3 out of 5 by karenmusik from Got it for free - worth the price I felt the game was moderately enjoyable. Rather repetitious and the controls felt a bit clunky - sometimes when I clicked on things, nothing happened. It does have three levels of play, so you can pick your No special bells or whistles, just a TM game.I got it because I had a free game I needed to use and I was supremely bored. Probably won't replay. Rated 3 out of 5 by AdrianaIP from Warning! Not connected with the Hercules series I got this because I love the Hercules games and how convoluted they get (rules: Minotaurs can only be vanquised by Medus, ghosts by Cerberus, stray sheep recaptured by the Cyclops and so on) Well, this is not the same developer, and all you get to do is pick up stuff, and build farms, and mills, and gold mines, etc... Just basic TM fare. Not even the challenge of knowing that if you choosee the wrong path you run out of the resources you need. 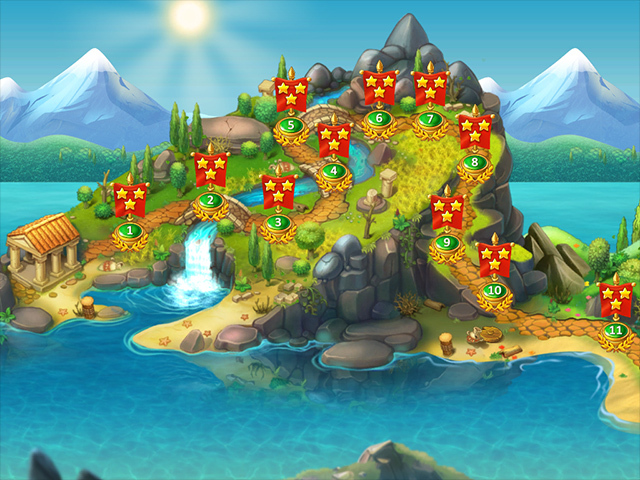 It is an OK game, but if you wanted Hercules, you'll be sorely disappointed. Rated 3 out of 5 by bonisqui from Boring but clean knock-off of Hercules & other TM games This game is basically a simplified knockoff of other TM games, especially - ahem - Greek-themed ones. There's nothing new here, in fact, it's less interesting and challenging than other games and doesn't seem to have any original thought put into it besides the premise in its name (oh, it's an "agency", that's so put-in-the-modern-day). 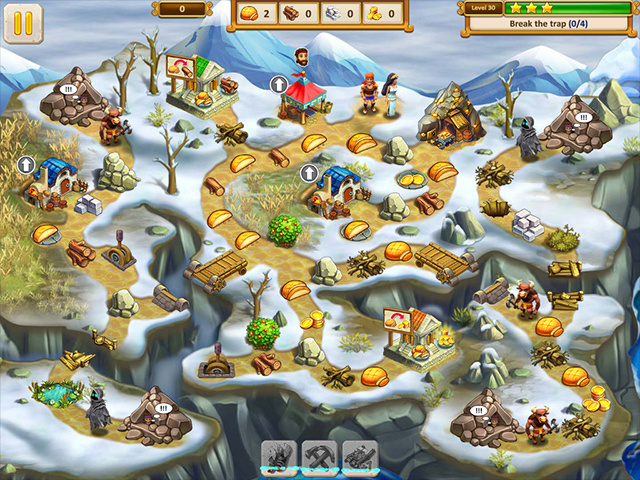 The background graphics are boring, forest/plains type settings, unlike many TM games that creatively add visually exciting and interesting backstories into their backdrops (for ex, Vikings Brothers series). Besides this game's complete unoriginality, the graphics, text, and gameplay are crisp and clean, nicely delivered. If you just want to mindlessly pass the time with a blander version of the games you've already plowed through and need something to scratch that TM itch, this one will do. Rated 3 out of 5 by almarcam332 from Ok game I agree with the majority here. I love the TM games, but this one just did not cut the mustard with me. I bought it thinking it would get better since most TM games do, but was sorely disappointed. I recommend waiting to buy until you can get a really good deal on it. But please do continue giving us more TM games Bigfish! They are my favs! Rated 2 out of 5 by Nocturne from Should have been better Considering so many excellent TM games that have come out over this past year or so, this game ought to have been far better than it was. I had played the demo and thought the Collector's Game wasn't worth the money but maybe the regular one would be. I was wrong. There isn't any challenge at all. The graphics aren't even interesting or very well done. I play about two levels and then I'm too bored I exit and pull up some old games I've played 100 times which are still fun. I think I bought this simply because there haven't been enough good TM games to play. Rated 2 out of 5 by odarney from Very boring and easy I agree with Pennmom36's rating. My favorite are the TMs. I kept hoping, level after level, that something fun would happen. But it's the same for every level. 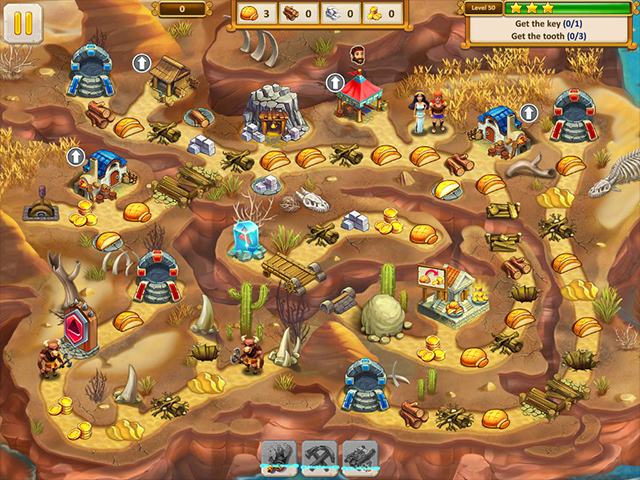 No extras; finding puzzle pieces within a level, new artifacts or tools, etc. Nothing. I NEVER like to give low reviews, but this game is just lacking so many things. Sorry.